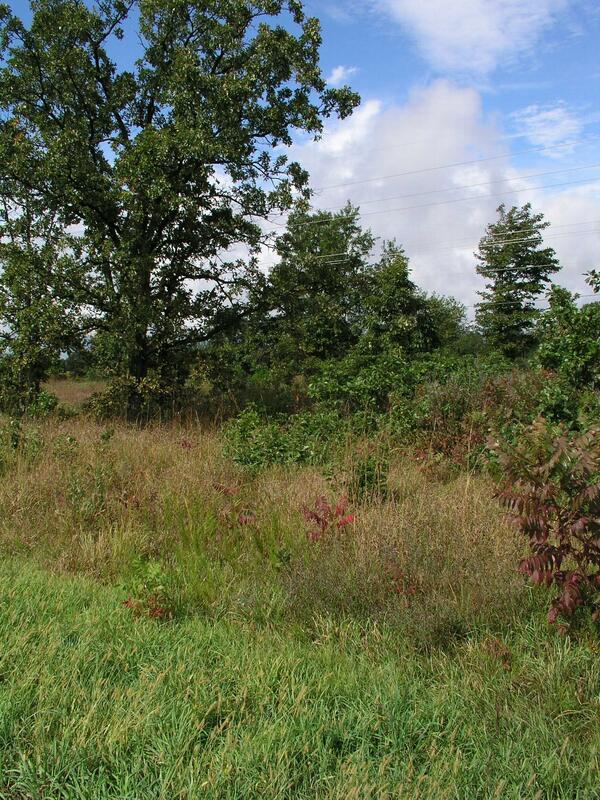 Nestled in between a highway and a railroad track, this small oak savanna remnant is described as one of the Michigan Nature Association’s (MNA) highest quality prairie/savanna remnants in Michigan, despite its small size. The Sauk Indian Trail Prairie Plant Preserve is located west of Sturgis, adjacent to US-12 and is part of the Old Sauk Trail, the historical route between Chicago and Detroit. The entire prairie remnant is now partially owned by MNA, the Michigan Department of Transportation (south portion bordered by US-12) and the Michigan Southern Railroad (north portion). The sanctuary is composed of the unplowed remnants of an oak openings community along a railroad track. Remnants of this community type contain prairie vegetation in the understory and are often referred to as prairies, though they are historically part of a savanna community. The sanctuary contains a number of woody species typical of oak savanna, including hazelnut black oak and bur oak. Prairie wildflowers including butterfly weed, woodland sunflower, yellow coneflower, round-headed bush clover, Virginia mountain mint and smooth Solomon’s seal are found here. Native prairie grasses include big bluestem and Indiangrass are the dominant warm season grasses. Sauk Indian Trail is threatened by the encroachment of aggressive native and non-native plant species, including smooth sumac which could potentially shade over sunlight-requiring prairie and savanna vegetation in the absence of management. Several non-native invasive species including yellow sweet clover, white sweet clover, spotted knapweed, Kentucky bluegrass and black swallow-wort threaten the savanna community. Active ecological management of Sauk Indian Trail Preserve began in 2006. Prior to that time, the preserve received little management. MNA volunteers now perform prescribed burns and invasive species management. The native forbs and grasses have responded favorably to the use of prescribed fire since its implementation. 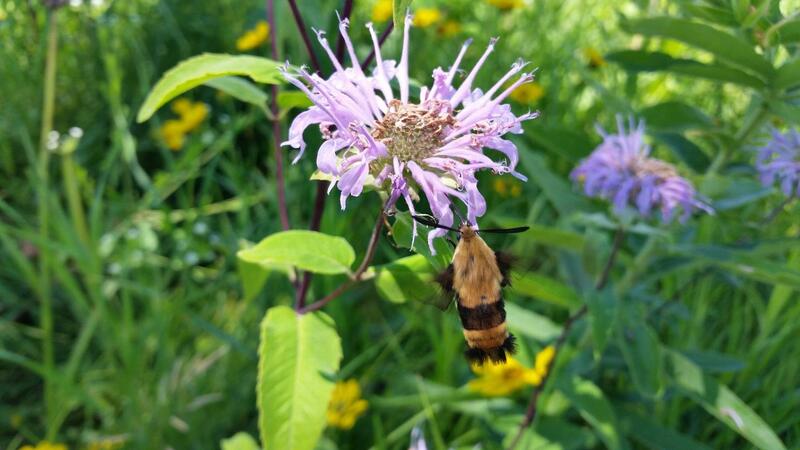 This small prairie is rich in both plant life and history and greets the visitor with a colorful but wistful remembrance of Michigan’s prairie and savanna heritage. 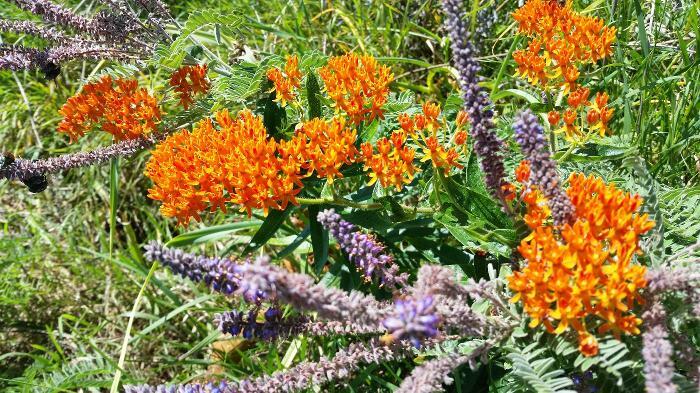 The best time to visit Sauk Indian Trail is July, when the summer wildflowers are blooming and big bluestem and Indiangrass are reaching head-high. However, visits anytime between June and October will reveal blooming wildflowers. The Sauk Indian Trail Prairie Plant Preserve is located west of Sturgis, adjacent to US-12 and is part of the Old Sauk Trail. It is on the north side of US-12 and west of Shimmel Road. Parking is available along the side of the road.